GetApp- a leading premium business app discovery platform has announced the inventory management software leaders of Q2 2016. 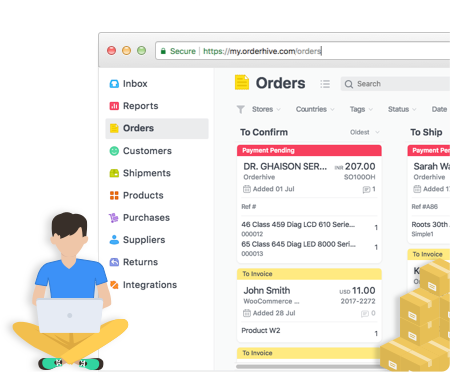 Orderhive-the fastest growing retail software solution has been placed at No. 1, followed by 24 other providers that completes the list. Scores are provided considering most important factors that include reviews, integrations, mobile availability, media presence, and security. Rating each factor on a scale of 1 to 20, Orderhive sums a total score of 70/100 that’s leading among other popular software providers mentioned in GetApp’s second quarterly inventory management leader’s list 2016. The results for each factor are judged keeping in mind the industry interests, as well as, the existing relationship of GetApp with the provider. Orderhive being not so far in terms of integrations, reviews ratings, and media presence than others in the list, its mobile and security has surely cemented perfect scores and managed to be at the top of the GetApp’s Inventory Management Category Leaders Q2 2016. You can also click here to see through the entire GetApp’s Inventory Management Category Leaders Q2, 2016. Savio Fernandes is a writer who influences. Writing for over three years at Orderhive, he is currently focused in offering eCommerce and retail solutions for start-ups and medium business owners.